I am about to head back to St Thomas in a few weeks, and I have been thinking a lot about the food I am going to be making and how I am going to prepare it. I wanted to put together a post to gather some healthy recipes that can be made from non perishable items and prepared with minimal equipment. Well, that has turned into a few posts! 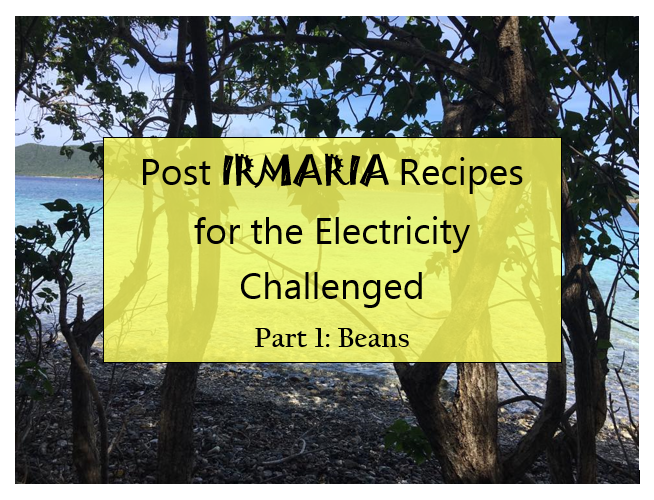 This first one focusing on recipes that require no electricity! Only tools needed for most of these is a can opener and a knife! Like most of the us, I still do not have electricity, and we are relying on a generator that is only operational part of the time. Without refrigeration, I know I will be relying a lot on canned and packaged foods for the next few months. However, it is a common misconception that you have to eat unhealthy when consuming these types of foods. I know I am not the only one with a bunch of canned beans sitting in my kitchen. Raise your hand if you have a shelf dedicated to beans? Dishes using beans as the main source of protein are especially helpful now in the Caribbean, where most of us are struggling to make ends and living pay check to pay check (I know I am). A case of eight 15 ounce cans of black beans, garbanzo beans (or chick peas), or kidney beans runs about $10 on St Thomas and can be used for several meals with few other ingredients. You can also buy dry beans and soak at home if you have potable water. Dry beans tend to be even cheaper than their canned counterparts. I recommend eating a variety of beans in your diet! Using the recipes below, you will never get bored of beans! 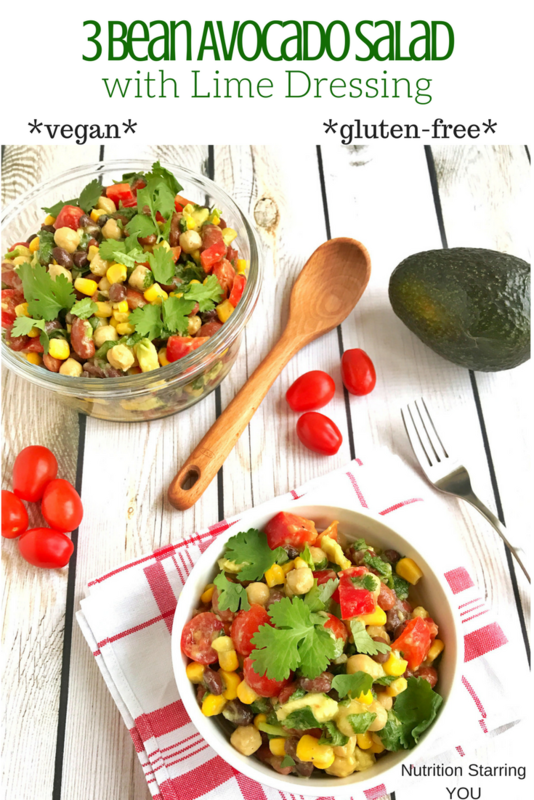 Bean salads are a great options because there are a million variations and most of these require no cooking! 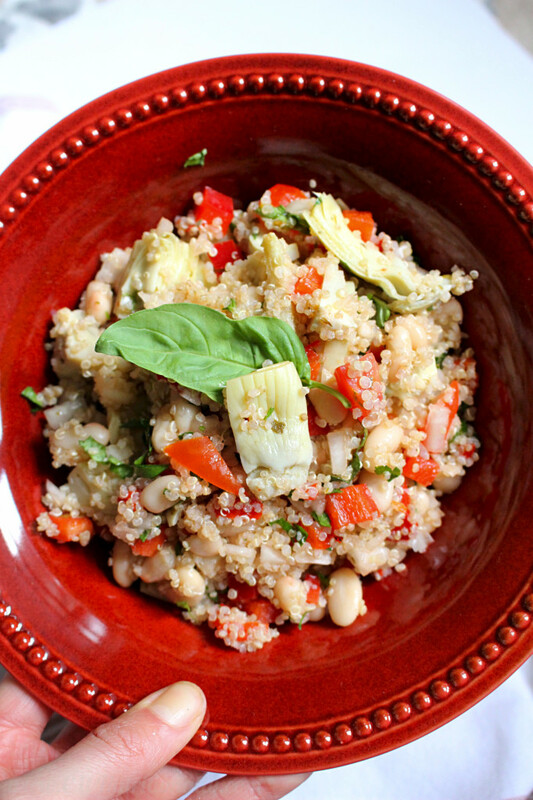 Beans are often under-rated, but they are extremely inexpensive and nutritious! They are a great source of protein and fiber, which will help to keep you feeling full while you work hard to rebuild these island we all love! 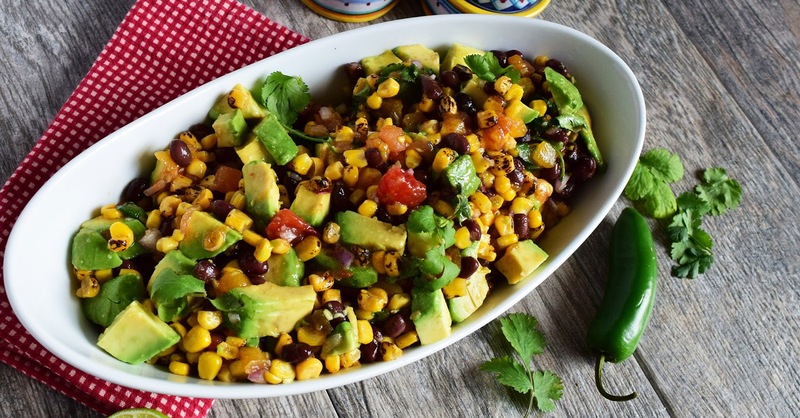 Bean salad are great by themselves, with some tortilla chips, or on top of greens! Beans are a member of the legume family. What exactly are legumes you may ask? Legumes are a class of vegetables that includes beans, peas and lentils. Legumes are among the most versatile and nutritious foods available and are a stable of every culture which follows a mostly plant-based diet, as seen in many Hispanic, Mediterranean, and Asian cuisines. can be a healthy substitute for meat, which can be more expensive and is higher in total fat, saturated fat and cholesterol. There are many ways you can make a bean salad. All you need is some canned beans, a little oil, seasoning, and what ever else you have on hand. I recommend draining and rinsing any canned foods first, this helps reduce the sodium content. Then throw in some canned tomatoes or chili’s, diced pepper or onion, and toss in the oil and spices of your choice. 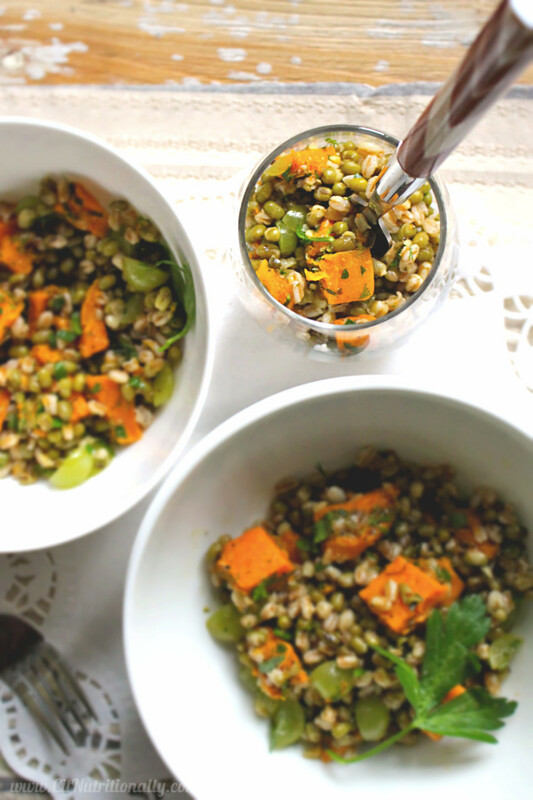 Check out these recipes I have collected from fellow dietitians for inspiration! 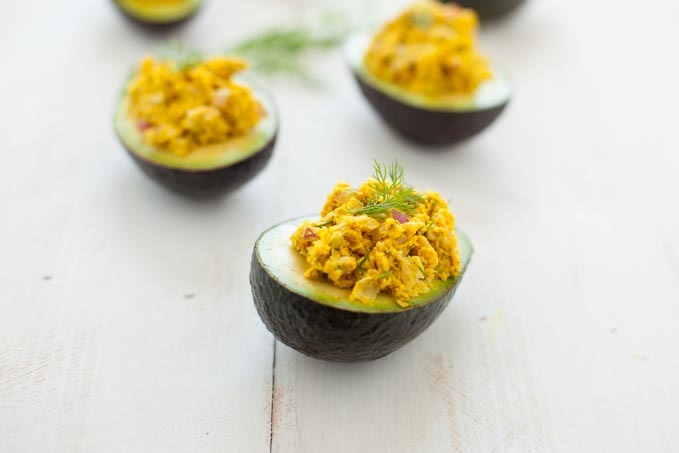 All you need is to open a few cans and toss in olive oil and vinegar for this one! 2. 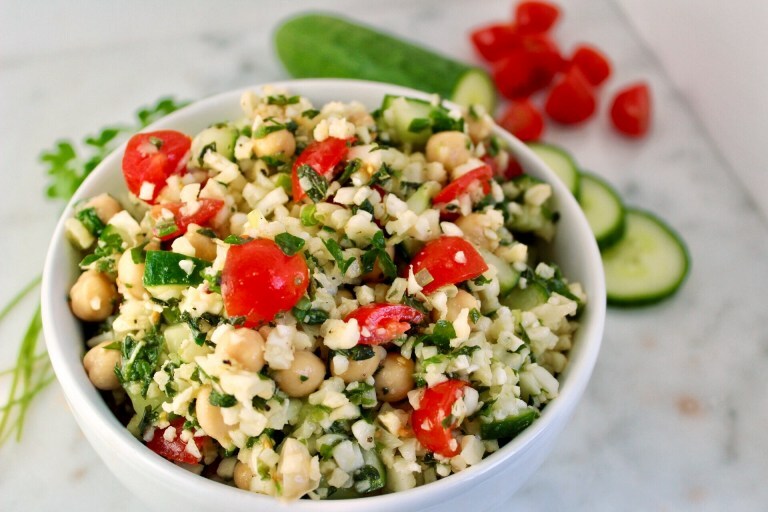 Summery White Bean Salad by Kylee Cooks. 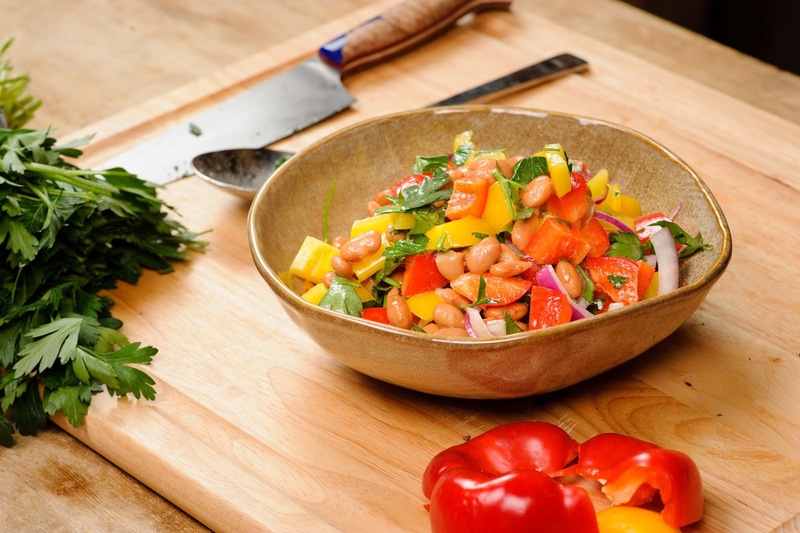 This super simple salad has minimal ingredients and one kind of bean. This one definitely requires a stove top and oven for cooking, but it just looked too good not to include! I have never cooked with mung beans before but i am looking forward to trying! This one will require boiling water for the quinoa. Once again canned vegetables will work perfectly in this salad! Taste the Rainbow with this salad! No cooking Required! 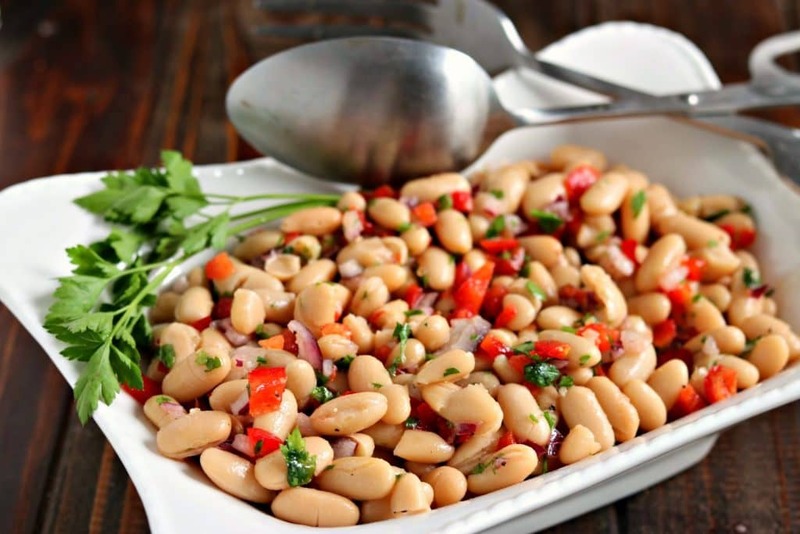 Not exactly a traditional bean salad, but it uses canned beans and no cooking required! This is a combination I wouldn’t have put together myself, but, now that I see it, I can’t wait to make this! Using cauliflower in place of rice has become a popular trend I can get on board with. This no bake dish is packed with veggies! Use canned tomatoes and beans for this one. I’ve made variations of this recipe before, but I’ve never used honey! There are so many more recipes out there to use canned beans, if is impossible to include them all! Without power and a working generator less than half the time, these will be making the meal rotation, for sure! Feel free to share below your favorite recipes using canned or dry beans!